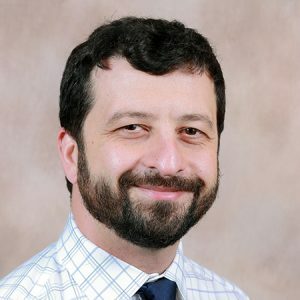 Jamil Muasher, MD is a graduate of Virginia Commonwealth University’s School of Medicine. He completed his Diagnostic Radiology residency at Virginia Commonwealth University, where he served as Chief Resident and went on to complete his Interventional Radiology fellowship at the University of Virginia. He is board certified in Diagnostic Radiology by the American Board of Radiology. He has a particular interest in minimally invasive treatment of vascular disease and derives great personal satisfaction from improving his patients’ quality of life. He has been a part of the Santa Barbara community since 2012 and joined Pueblo Radiology in 2016. His hobbies and interests include live music, film, hiking/camping and spending time with his family.